Visitors from across Canada and the United States have come to visit Campers Cove campground for over fifty years. A family campground that started out as a vision of three young couples who loved nature, camping and the beautiful views of Lake Erie. The campground dream has continued over these 50 plus years when the Gerrish family have continued to own and operate the campground. 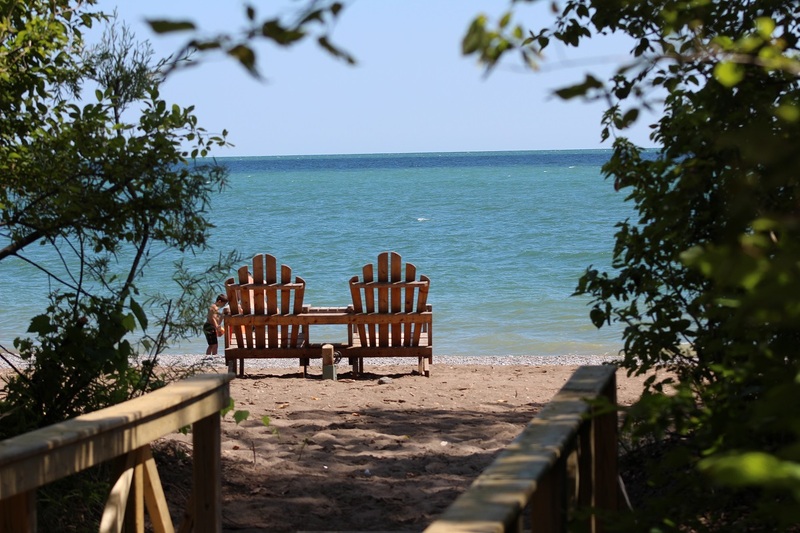 Campers Cove is a Good Sam family friendly camping resort located on the shores of Lake Erie in Wheatley, Ontario offering 1200 feet of clean sand beach to enjoy. Located 3 km east of Wheatley, less than one hour from Windsor/Detroit/Chatham. Just minutes from attractions such as: Point Pelee National Park, Wineries, Colasanti’s Tropical Gardens, Jack Miner’s Bird Sanctuary. Golf, Fishing. The Gerrish family’s dream of operating a family friendly campground has grown to include rental log cabins, playgrounds, sports courts, a large movie screen, laundromat, large washroom, shower facilities and so much more. 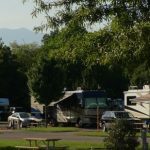 Their inspiration of creating a family campground committed to making “your stay a most enjoyable experience”, continues to be evident with an endless list of events and activities for all ages. Their goal throughout the years has been to ensure that every camper, whether young or old, took with them a handful of wonderful memories. For the Birding enthusiasts April 27 – May 17 we offer special prices on our rental log cabins. Being located in the southern most point in Ontario and just a few mintues from Point Pelee National Park and Hillman Marsh. 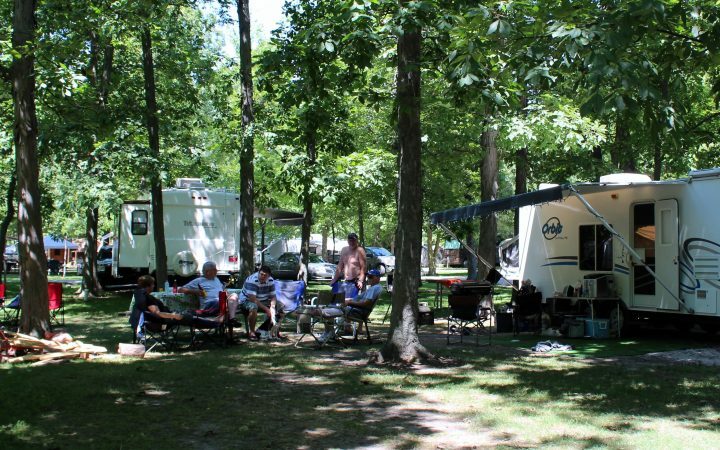 Our campground is a prime location for those who love to see a wide variety of species and enjoy a unique blend of vegetation in the marshes, jungle-like Carolinian forest and Savannah grasslands. More than 370 species of birds have been recorded at Point Pelee and the surrounding area. Our Spring Special Weekend – April 27 – April 29 is our opening weekend and families can camp for a minimum of two nights for just $65.00, plus tax. 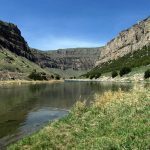 You can start the camping season off with some fun activities for both the kids and adults. Enjoy a Tootee train ride, family bingo and Easter Egg Hunt. Bring A Friend Weekend – May 25 – 27 is a popular weekend and has become a favourite with our campers. You reserve two sites for the price of one! We call that a win-win. During the weekend we offer a variety of activities. Including: a scavenger hunt, marshmallow roast, a family dance and adult beach bonfire tunes. The end of May is the perfect time to get away with family or friends. Our Fall Migration Special – September 9 – 22 is a beautiful time to experience Canada’s fall season with the leaves turning and the bird migration begins. 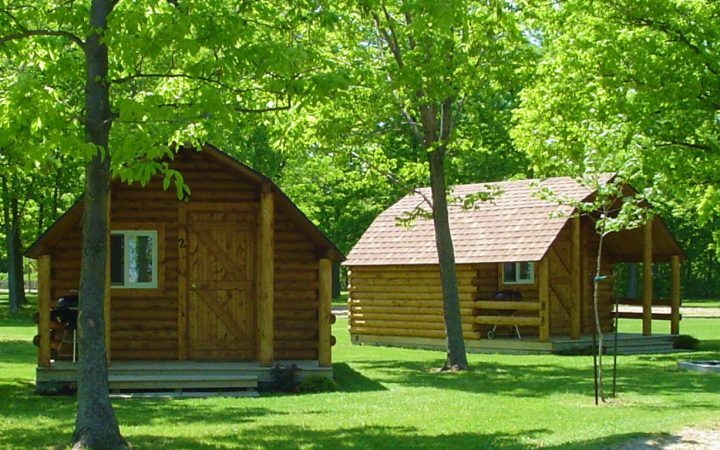 We offer specials on our log cabin rentals during this time.